Attention sneaker heads--and this time, also Bobcats fans--the Air Jordan 10 Retro sneakers are being released nationwide this Saturday, January 11. 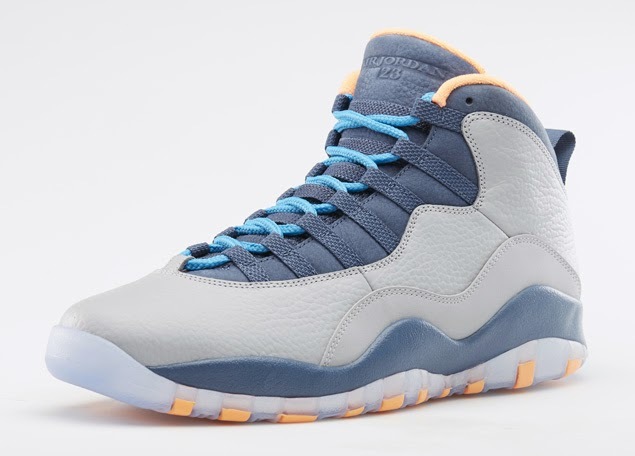 The kicks have been nicknamed "Bobcats" because of the Charlotte Bobcats-inspired colorway: wolf grey/dark powder blue-new slate-atomic orange. The shoes will retail for $170. As many of the sneaker blogs (Sneaker News) point out, this is the first pair of retro J's to pay homage to the team Michael Jordan owns. Jordan Brand rakes in hundreds of millions of dollars a year by introducing new colors of vintage sneakers from MJ's legendary NBA career. Actually, the 10s were originally released in several colors throughout 1994 and '95, during Jordan's first retirement from basketball, when he was trying his hand at minor league baseball. A photo of the Jordan 10 Retro Bobcats is drawing plenty of comments on the Jordan Facebook page. As usual, these retros are being sold in limited quantity and will likely sell out on Saturday (only to be resold at a much higher markup later on sites like eBay). Or will the Bobcats' lack of popularity as an NBA team hinder sales of this edition of J's? Regardless, the sneakers should at least go over well in the Carolinas. If you're looking for them in the Charlotte area, the Foot Locker stores at SouthPark Mall and Carolina Place Mall are selling them (click here for the launch locator). And as has become protocol, a "sweepstakes" is being held just for the opportunity for you to buy the sneakers at Foot Locker. Tickets are being issued this Wednesday and Thursday, January 8 and 9, to people who come by the store. You'll need to designate the exact size you want, and on Friday the "winners" will be notified by phone, which will then allow them to come purchase the sneakers on Saturday. This prevents unruly crowds and chaos from forming at the stores on release day. I guess you could say these sneakers are a going away present of sorts, since there are only a few more months until the Bobcats switch to the Charlotte Hornets. 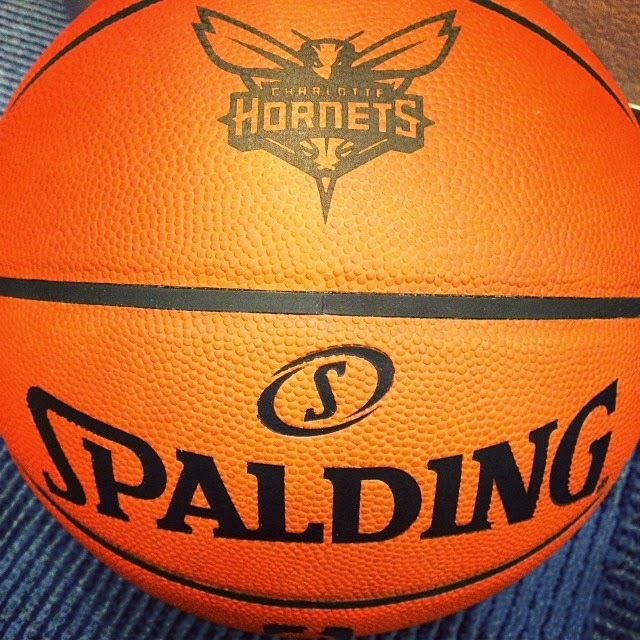 By the way, the new Hornets merchandise, including this basketball below, goes on sale January 18.